CHEERS! 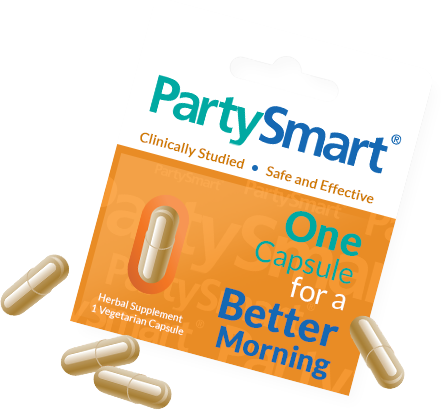 HERE’S TO A BETTER MORNING: Popular, proven PartySmart provides you with clinically-studied detox support for a better next morning in a single pill. * Go ahead and open the curtains. PartySmart lets the sunshine back in! 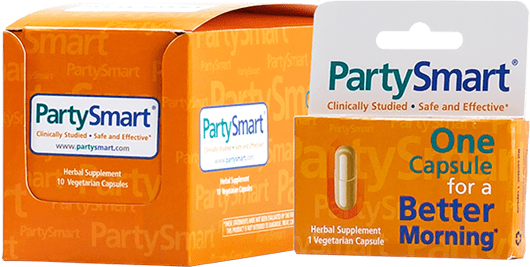 PLANT-BASED AND EFFECTIVE: PartySmart isn’t a jittery caffeine pill. It’s good, smart herbal cleansing wisdom. It’s magnesium stearate and gluten free. It’s free from wheat, corn, soy and dairy, and it comes in a 100% vegetarian capsule too. Now that’s some smart stuff! QUALITY & SAFETY: Produced in a cGMP Good Manufacturing Practices certified facility, the herbs in PartySmart are rigorously tested for identity and strength, and clinically studied for safety and effectiveness. Enjoy your evening, enjoy your next day. Whenever you party, PartySmart! 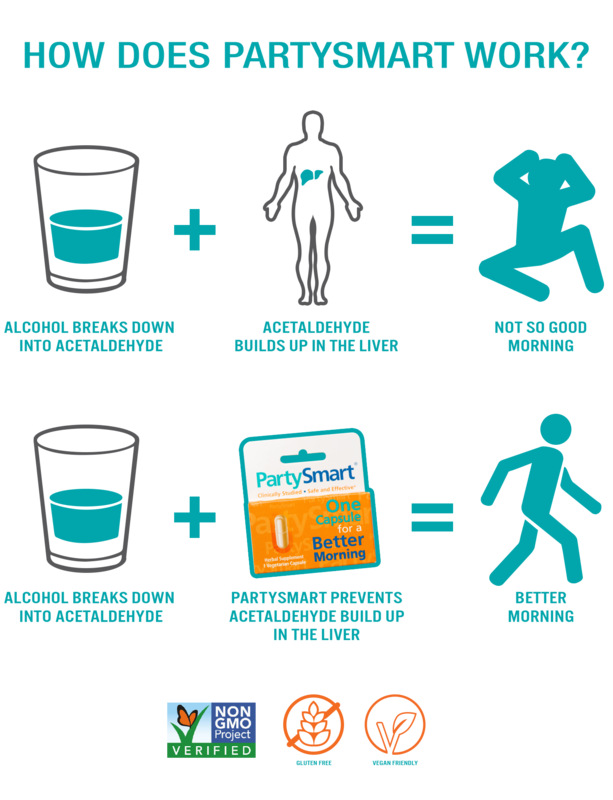 Remember, PartySmart® won’t prevent intoxication or speed your sobriety, so stay smart, drink responsibly and app home safely!